Rotary is a global community of more than 1.2 million men and women dedicated to building a better world. 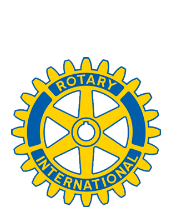 Founded in 1929, the Rotary Club of Bristol is a fellowship and service organization of over 50 men and women dedicated to the Rotary motto of Service Above Self. Our club has made many large and small contributions to the welfare of this community and to communities throughout the world. Through the Rotary community, you can exchange ideas and build lifelong friendships with like-minded people. If you have a sincere interest in making a positive contribution to your community, we’re interested in meeting you. 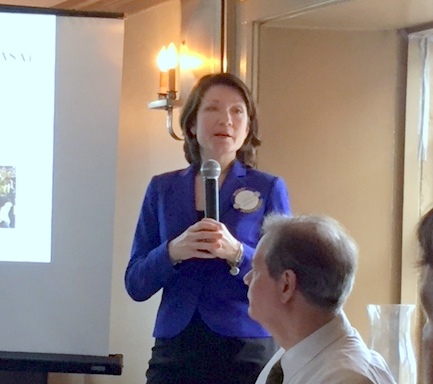 Email our President or Secretary to learn how you can become a Bristol Rotarian. 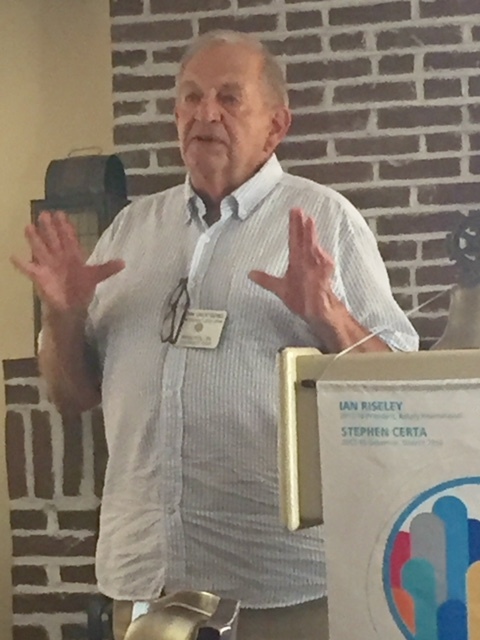 Bruce Cox, esteemed member of Bristol Rotary Club and President of Bristol Rotary's Charities Foundation, made his Classification Speech highlighting his personal history and professional career, and his 30 year membership in Rotary. 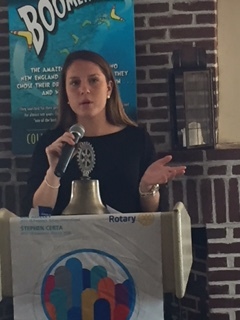 Olivia Jacques, President of Rotaract updated our group on the incredible things her chapter continues to accomplish. Look out for more information on there Saint Patrick's Day Fundraiser! 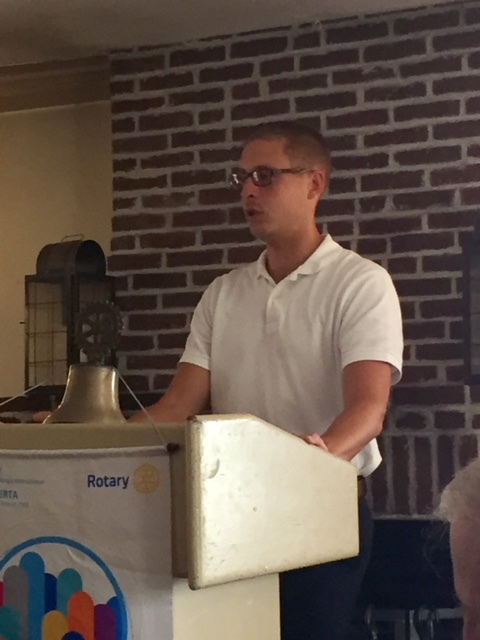 Our fellow Rotarian, Vincent Geremia, a retired Anesthesiologist talked about his job and how it changed over the years. 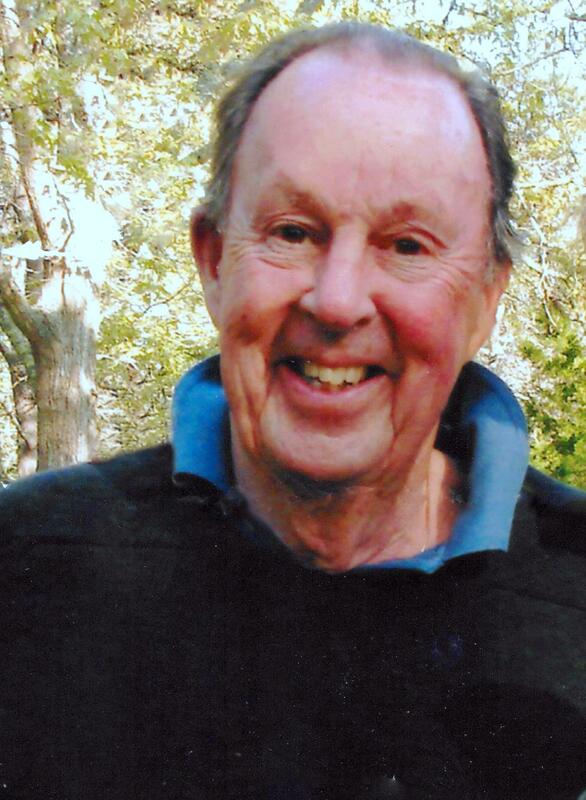 He worked at Charlton Memorial Hospital in Fall River for 35 years. He was in the U.S Navy for 7 years including serving in Vietnam. Matthew Perry, enlightened the audience with the history of Silver Creek! 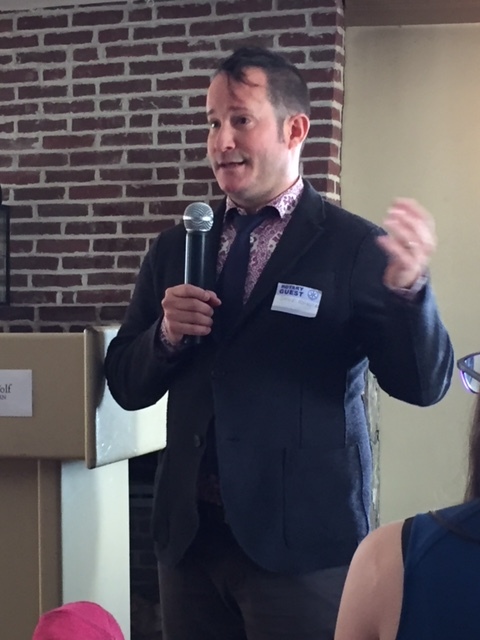 Scott Mackay, Political Analysis for NPR, updated us on the Rhode Island office races! 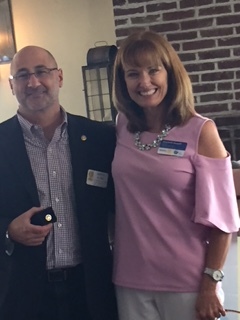 Welcome new Bristol Rotary Member Catherine Sousa! Ronnie Newman talked about how her work with Foreign Exchange teenagers from all over the world! 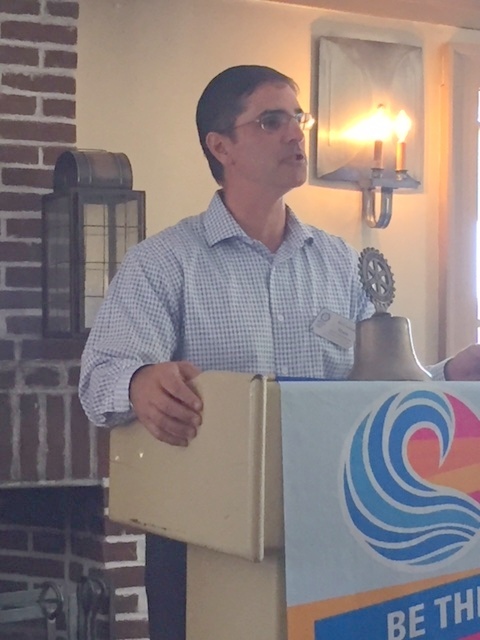 Peter King, owner of Water Rower, talked to us about the companies story and how they continue to innovate in a competitive market place! Welcome new Bristol Rotary member Cindy Larson here with her sponsor Mary Jo Tavares. John DaSilva from Beacon Hospice explained a moving service performed for veterans called the Fallen Comrade Ceremony which honors the veteran for his service before passing. A special flag and pin were designed to thank Vietnam veterans. Jane Lavender, chair of the Bristol Art Museum, talked to us about the museums upcoming events! 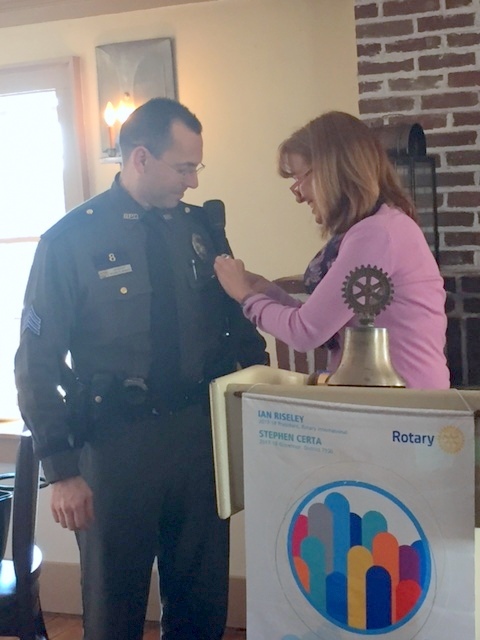 Please welcome Brenda & Vince Geremia to Rotary! Edward Fitzpatrick, The Director of Media Relations at Roger Williams University, talked to us about the First Amendment! Stephen Randolph from Edward Jones, gave us his classification speech, so we could get to know him better! Mario Andrade, Superintendent Bristol Warren Regional School District, reviewed his goals, among others: creating a personalized learning environment and teaming up with local companies to tie academic subjects to real life applications. Kathy Bazinet, Chief Marshal for the 2018 Bristol 4th of July Parade, told us that her happiest moment was when a friend complimented her by saying that it was so great having the Chief Marshal be a "regular" person. Robin Tremblay from Linden Place, gave us a historical overview of Slave training in Bristol! 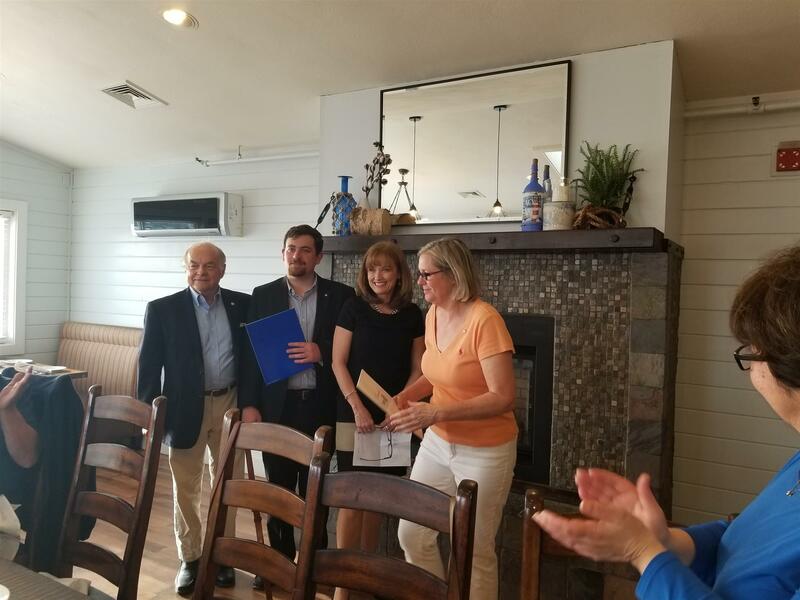 Nicky Piper, Director of the Bristol Warren Education Foundation, explained that the Foundation provides Grants to teachers to offer programs that enhance the students experience and that are outside the School District's budget. 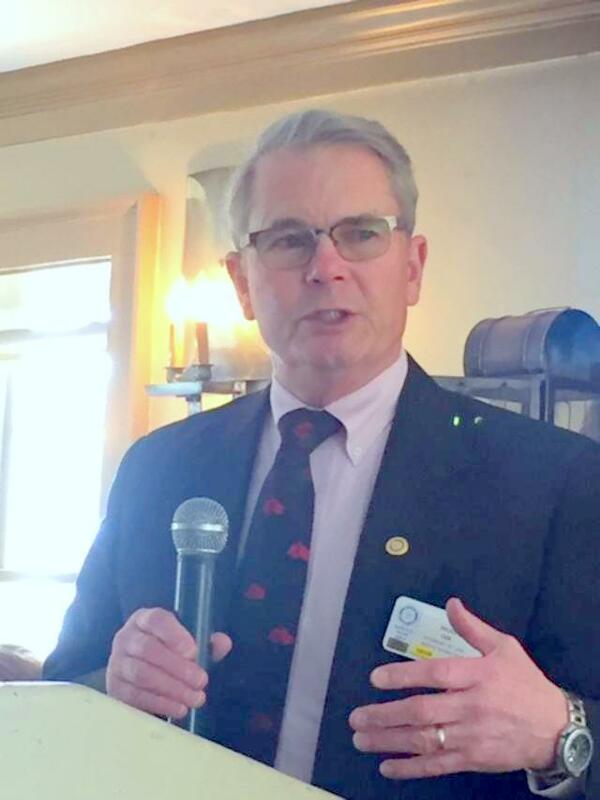 Ed Creamer, Exec Director of Mothers Against Drunk Driving (MADD), told us of the tireless efforts of MADD to curb impaired drivers from driving and the new technologies to keep them from getting behind the wheel in the first place. Two new members join Bristol Rotary second from the left Jon Bennett with sponsor Jacques de Labry, far left; and Lisa James, far right, next to President, Beth Russell. Welcome aboard!! 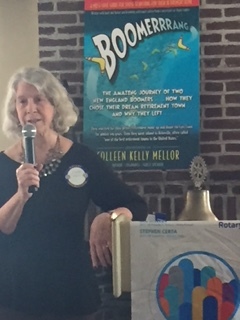 Colleen Kelley Mellor, author of Boomerrrang talked to us about what inspired her latest book. The book is about Colleen and her husband Paul's journey to find the perfect retirement community! 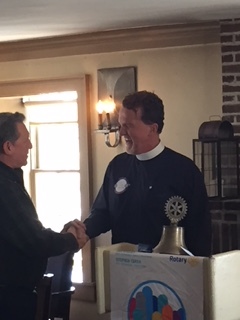 Please welcome our newest Rotary member, Burton Bagby-Grose! 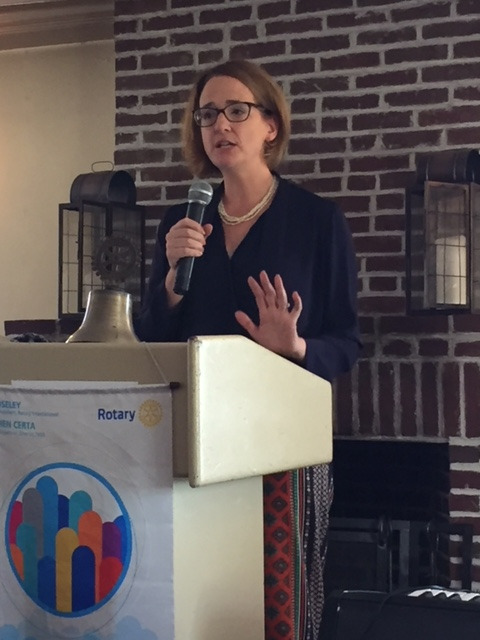 Olivia Jacques, President of Rotaract talked about the amazing work they have accomplished and their future vision! 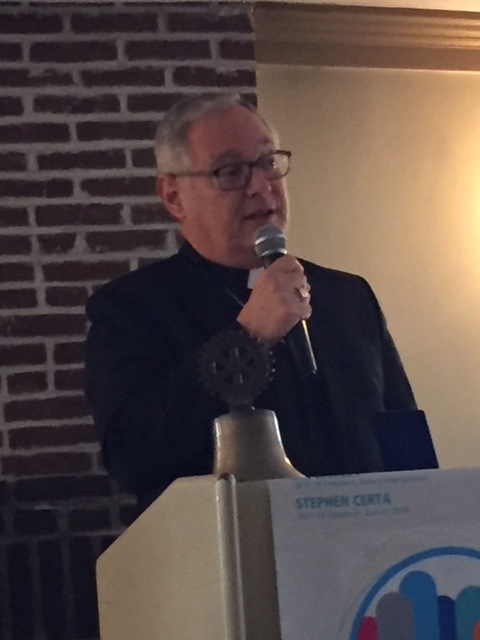 Bristol Rotary's May Breakfast at St. Michaels was a great success last Sunday. 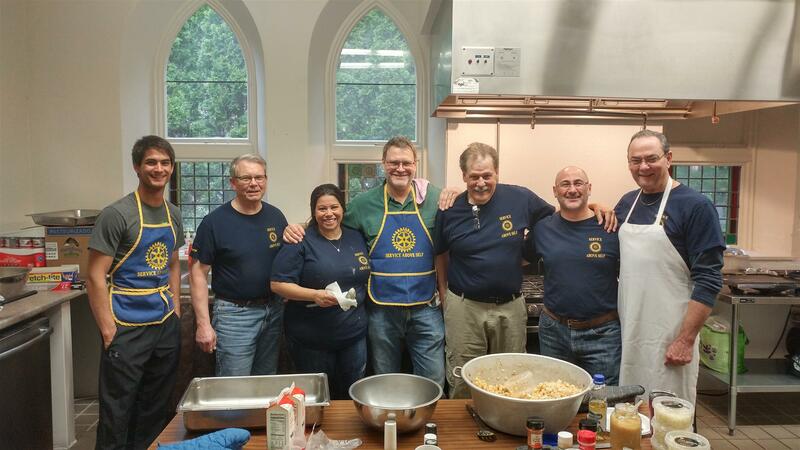 A big thanks goes to the Rotarians who volunteered as cooks and kitchen staff. 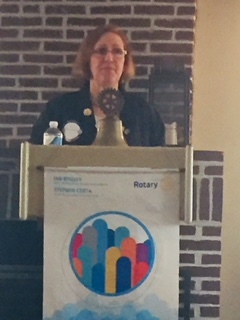 Christy Corbett, from Beacon Hospice care, reviewed their supportive programs for families receiving hospice care. 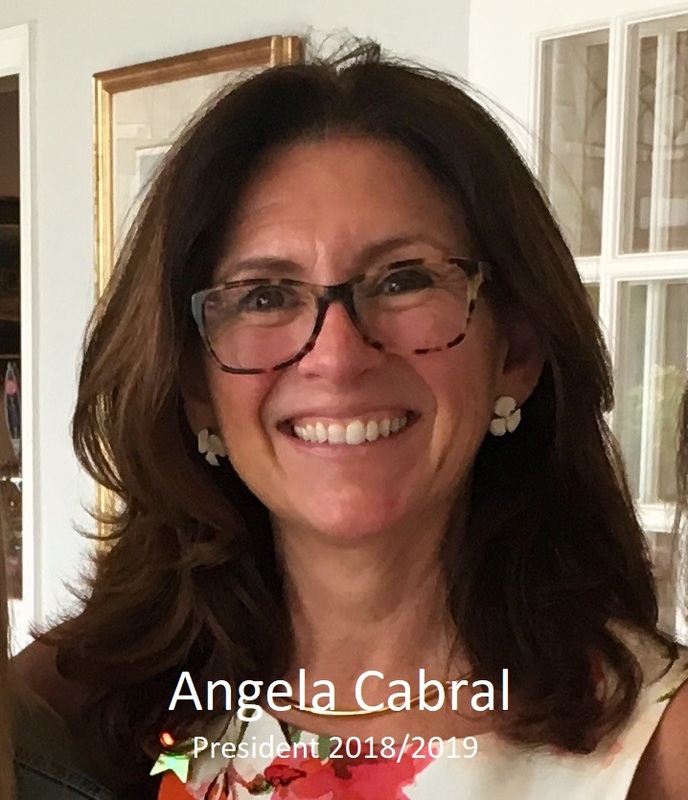 She emphasized what a uplifting and rewarding experience it is to provide this support. 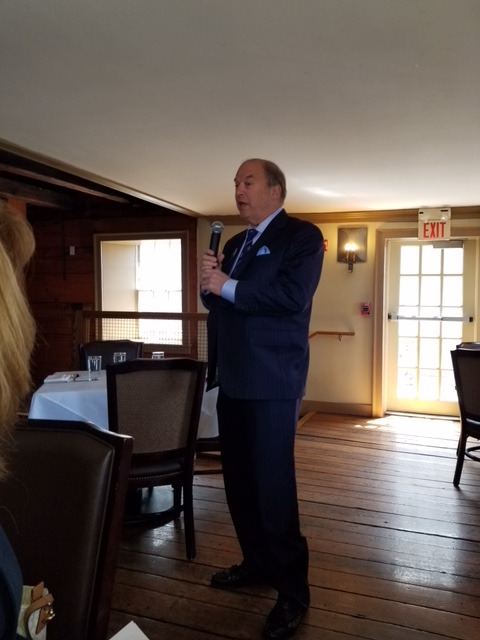 Bob Flanders, the Republican Nominee for U.S Senate, talked to us about how he will help Rhode Island residents if elected! 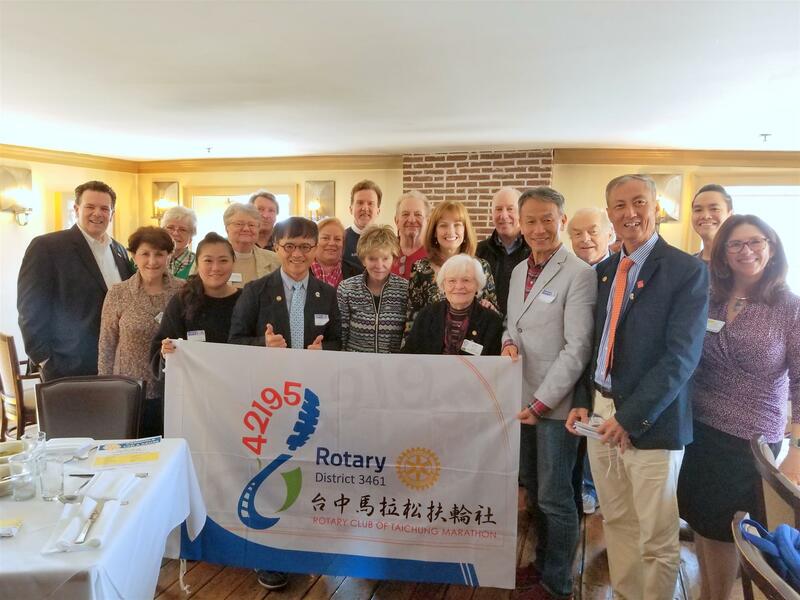 Joining us on April 11 were representatives of two Taiwanese Rotary Clubs: the Taichung and the Marathon Rotary Clubs. 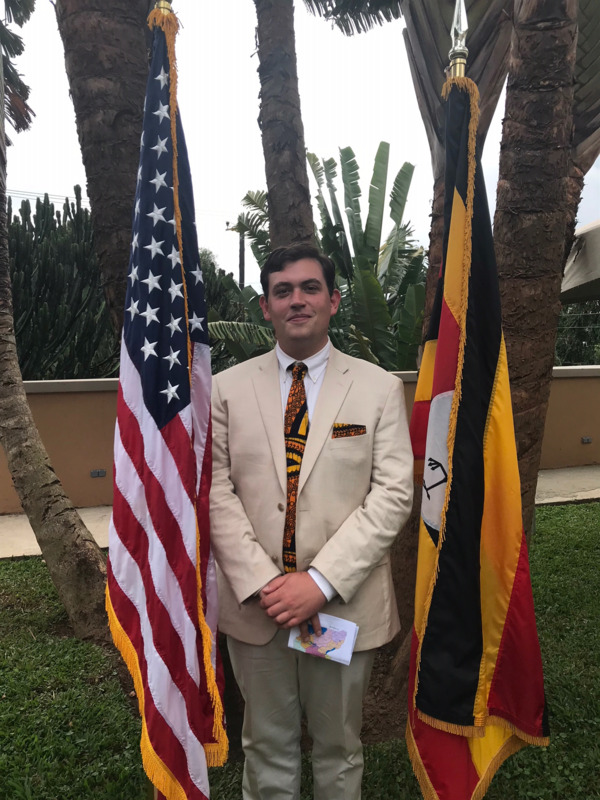 A great group of people who exchanged greetings with the help of an interpreter but the Rotarian in all of us broke through anyway. Our hearts are heavy and saddened by the passing of our fellow Rotarian, Rudy Alano on April 18th. He was a true gentleman and great Rotarian. We will miss him dearly. Our thoughts and prayers are with his family. Below is the link for his funeral arrangements and obituary. Reverend Mark A. DeWolf. 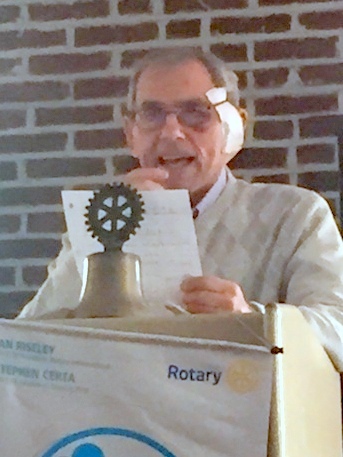 On April 9 we lost Bristol Rotary's Pastor, our friend and an exceptional human being. 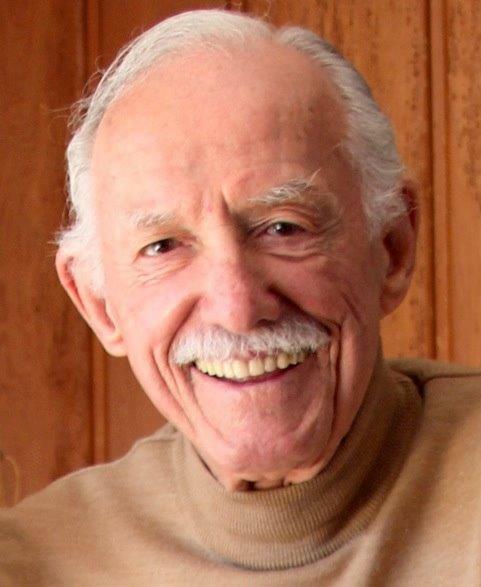 We loved his blessings, his distinctive pastoral voice and we will especially miss his laugh that shook the rafters. God speed Mark. Jack Martin & Erica Adams from Providence Library, talked to us about the libraries transformation to more of an educational model! The library is currently in the process of raising money for renovations! 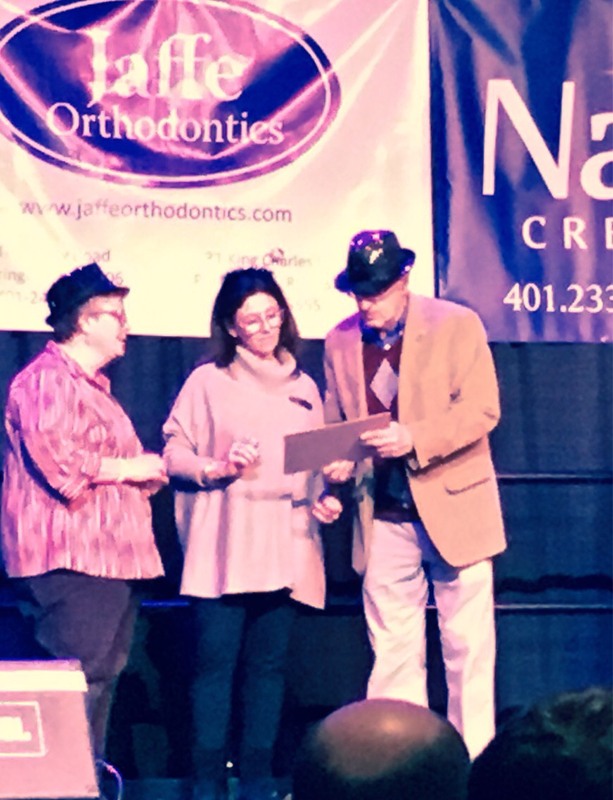 Walter Burke, Director of Parks and Recreation for Bristol, will be sorely missed as he retires April 10 after 23 years. We all appreciated the great work he has done for this town. "It wasn't work, it was a mission." Thank you Walter! Bishop Tobin from The Diocese of Providence, talked to us about how there parishes serve the Rhode Island Community! 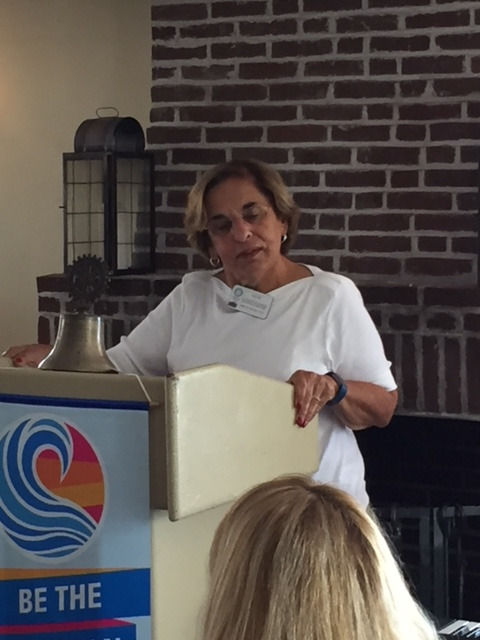 Cheryl Martone, from CASA, talked to us about how the program helps abused and neglected children. 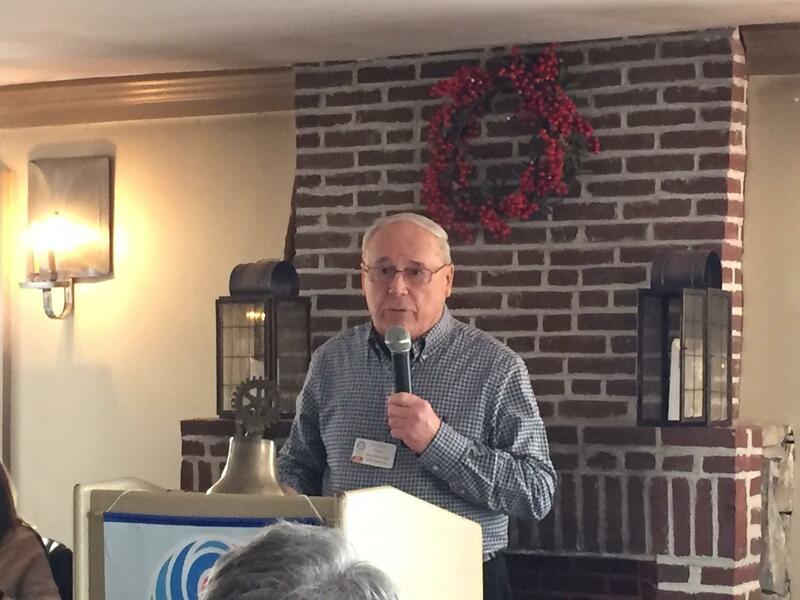 Jimmy Ferreira, long time Rotarian, remembers his friend and ours Fred Bruno, who passed away recently. 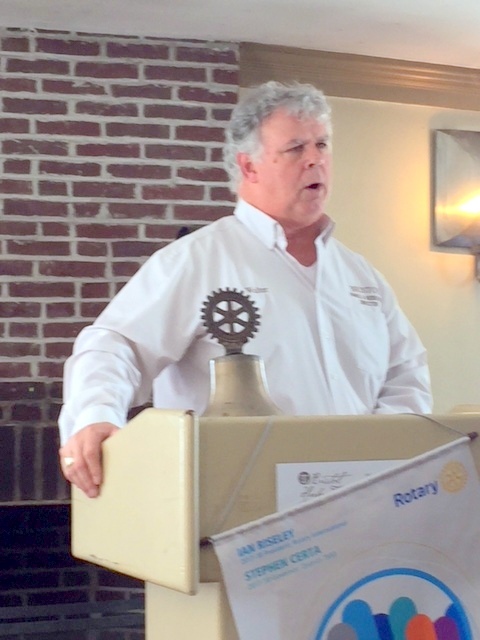 He talked about Fred's contributions to Bristol Rotary, their friendship and the legacy they both left behind. Fred will be missed. 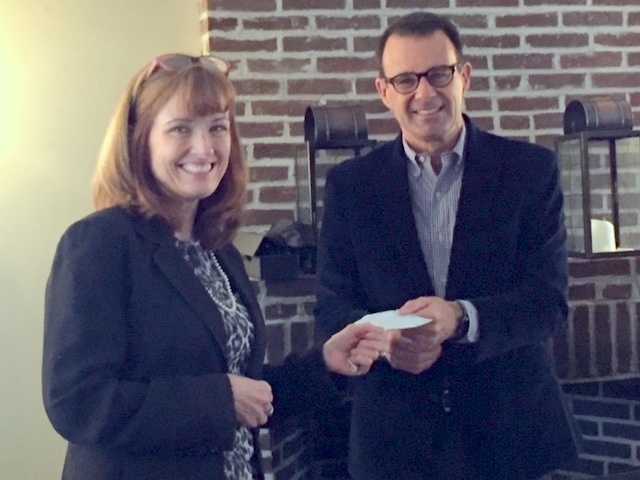 Matt Hayes, chief architect of the Mt Hope Bridge run last August, gives a check for $10,000 to Beth Russell for Bristol Rotary's charities. The Bridge Run this year will be on August 11 and will be increased to 1800 participants. Thanks Matt! 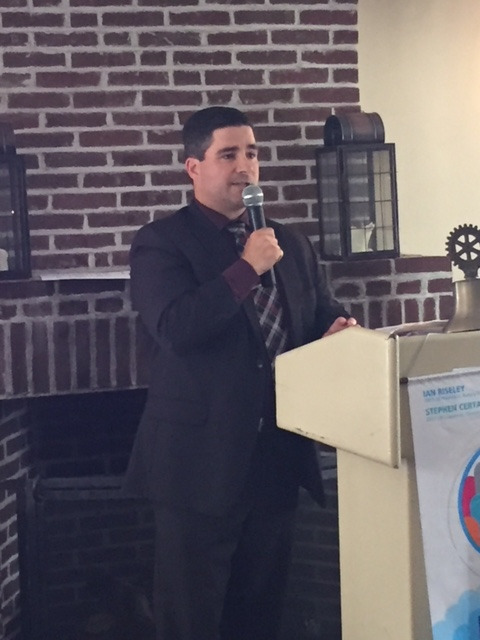 Welcome Sargent Ricardo Mourato, our newest Bristol Rotary Member! 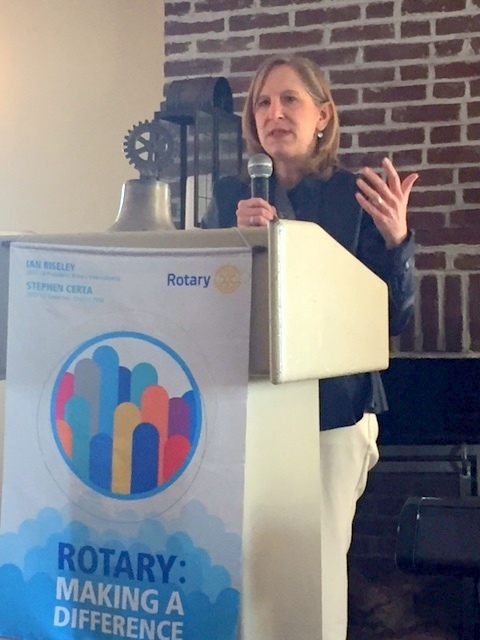 Lisa, The Chief Operational Officer from Rhode Island Food bank, talked to us about how they help the people of Rhode Island. They distributed over 9 Million pounds of food Last year! 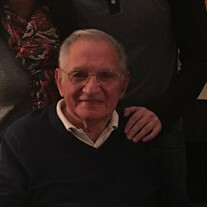 Ferdinand A. Bruno: Feb. 15,1929 - Jan. 21, 2018. Fred was the heart and the joy of Bristol Rotary for 53 years. We will miss him terribly. Our condolences to Joan and the family - and to our Club family.